Often we buy new things because we like them when we see them in stores. We already have those things at home and they are in working condition. After we buy the new stuff, we dispose off the old ones. If we can't fight the urge to shop, we can make sure that the useable things that we have, do not go waste, apply them elsewhere where they are needed and can be useful. Reduce the usage of disposable items. Buy things that are reusable. You'll find that in the long run, they are more cost efficient. Use your imagination to reuse as many things as you can. Items that are gently used and in working condition can be sold on websites like eBay and Craigslist. You can make cash for yourself and save some money for others. Another good option that is hassle free and still makes money for you is donating. You can claim tax deductions for donating old clothes & shoes, books, toys, housewares and furniture. If you get a news paper everyday, you probably have a ton of paper to recycle every week. Don't forget to recycle these old news papers. Same goes for magazines too. If your community does not have a recycle bin, insist on having one. Or else find out the nearest community that has one. Recycle these items on your way to work/grocery store. With new and affordable electronic items launching everyday, we have a whole lot of electronic junk. Do not trash those old laptops, computers, mobile phones, iPods and MP3 players. With increased environmental awareness, recycling electronics is getting easier. 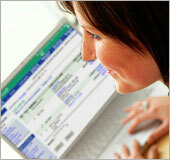 Many websites pay for the shipping and give you cash if the item is of any value. If not, they recycle it responsibly. Some electronic items can be turned into cash, even if they are broken. Click here to search for where to sell electronic junk for cash. Who needs another pile of paper, with your personal information on it, lying around in your house, when you can view & pay your bills online? Go ahead. Stop those paper bills/statements & subscribe to e-bills. You can print those, anyway, whenever you need the printed copy. - You can charge the bills to your credit cards and earn points every month! - More importantly, reduces the risk of identity theft. Switching to electronic bills is easy. - Usually, the paper bills have the information required to sign up for paperless bills and switch to elctronic bill payments. - All major banks provide electronic bill payment facility without any extra charge. - You can sign up with third party bill payment services and pay all your bills at one place on their website. - Products that help reduce consumption of natural resources like energy and water. Use green products that are of the same quality & give the same if not better results as any other products. What to do with loose change? 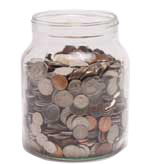 Based on recent studies, at an average, every household in the US has about $60 in change. Circulate those coins back into the market. Saves the energy needed to produce new coins due to the shortage. Coinstar machines in the grocery stores charge a hefty fee for turning the coins into cash. You can avoid this fee by depositing the change in your bank account or using the change at self checkout registers in grocery stores. If you know any retailer who is in need of change all the time, he/she will be happy to trade it for cash/goods in non-rush hours. Your change might save a trip to the bank for the retailer. More importantly, pass it on! By the time your kids grow up, the environmental problems might be under control. Or they might grow into something that needs the world's immediate attention. Nevertheless, pass on the knowledge & awareness to your kith & kin. Teach them the Green Conduct. Make them aware of the environmental issues & help them act responsibly. 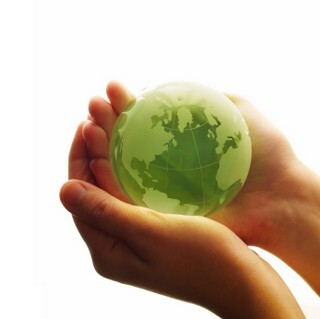 This way, every generation becomes more & more responsible towards keeping the environment safe & clean.